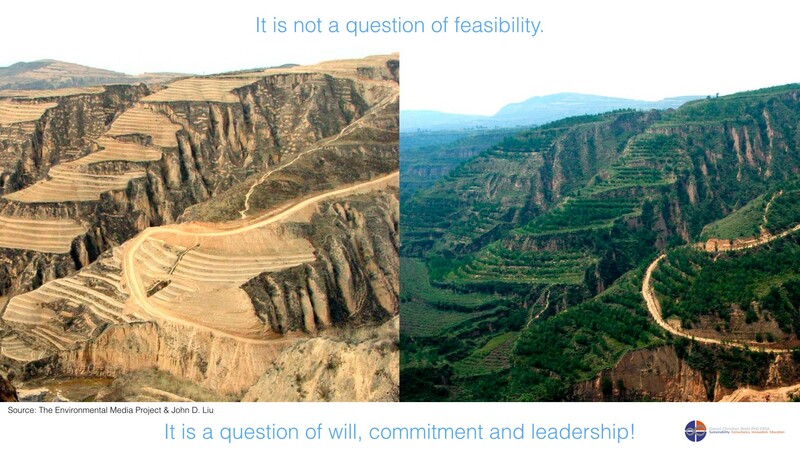 … These [above] are pictures of the Loess Plateau in China. 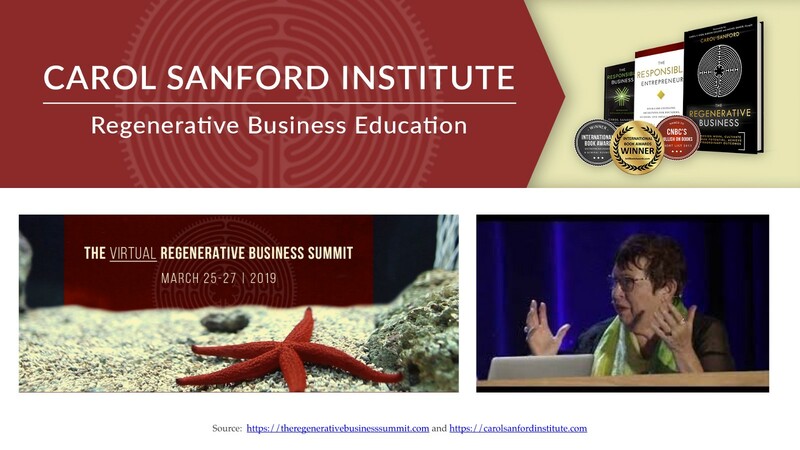 John D. Liu, who was here at Findhorn for the New Story Summit, documented this change. Over fourteen years the Chinese managed to turn an arid desert into a fertile and productive landscape. These are also all images from that area [below]. It is a very large area South-East of Beijing. We are talking thousand of square kilometers. We can heal the planet. We can heal ecosystems. 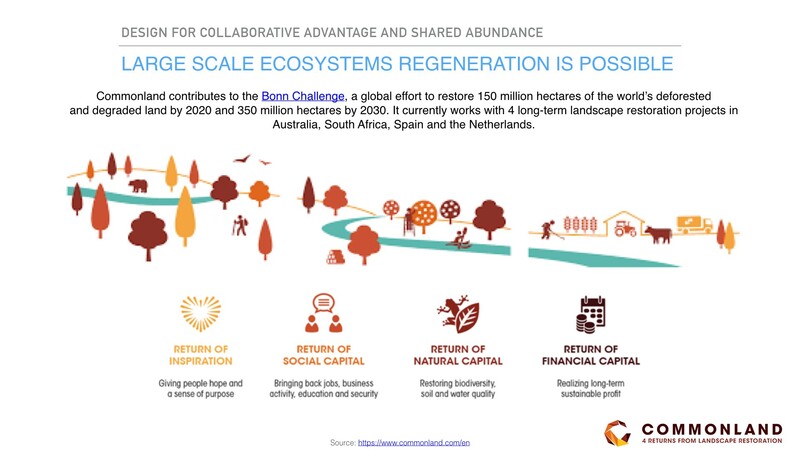 We can fit back into the community of life and create — bioregion by bioregion — a more abundant place. We can move from competitive scarcity to shared abundance. 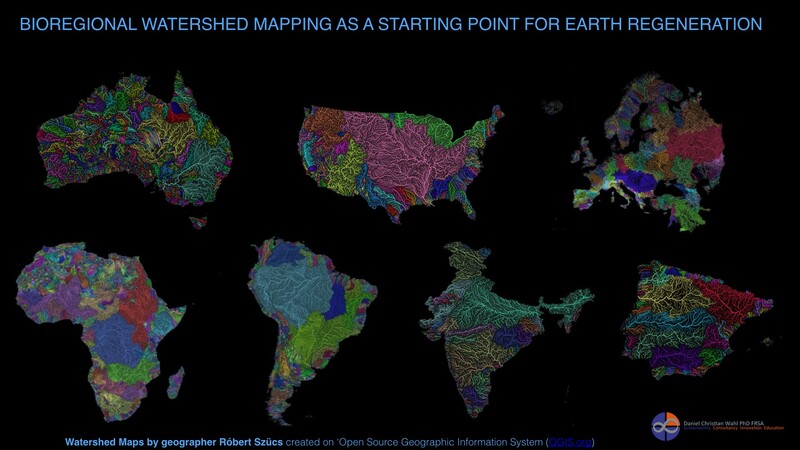 These [below]are wonderful images created by a geographer called Robert Szúcs who basically maps the river-systems of the planet. Once we start moving into a bioregional world — regenerating bioregion by bioregion — these kinds of maps will be very useful. 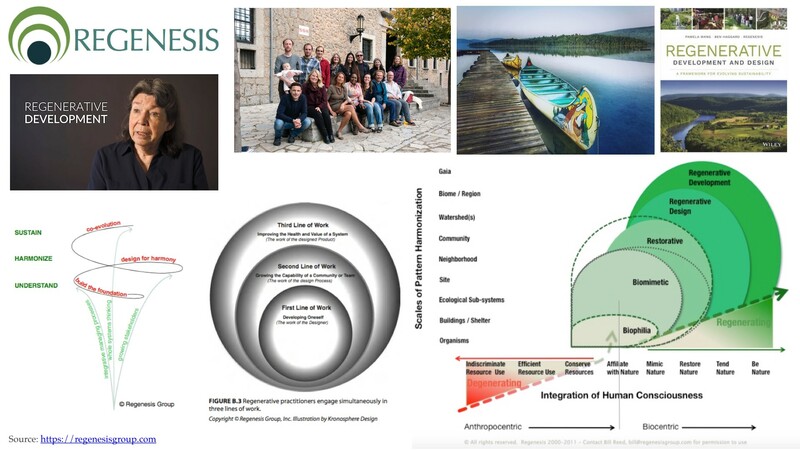 The bioregional approach fits humanity back into natural patterns rather than the other way around. 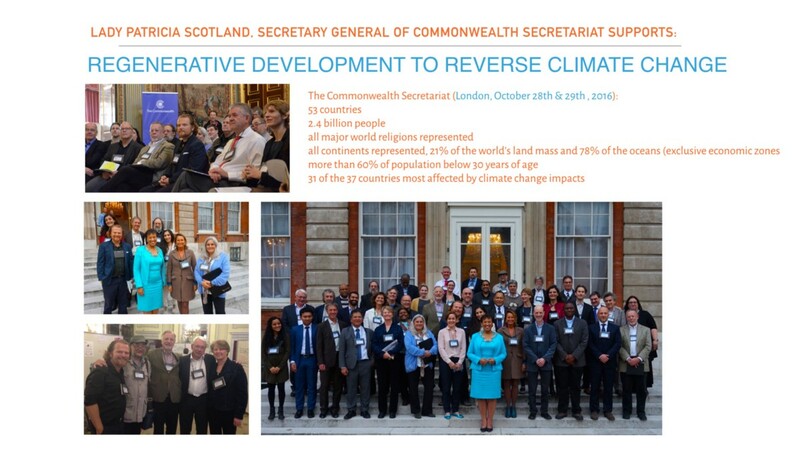 This was an event that I helped to organize at the Commonwealth Secretariat in London. Baroness Patricia Scotland, the Secretary General of the Commonwealth Secretariat that has an advisory role to 53 governments who together represent over 2.4 billion people, most of them are under 30 and a lot of these countries are in the front lines of climate change. Baroness Scotland is fully behind this idea of regenerative development. 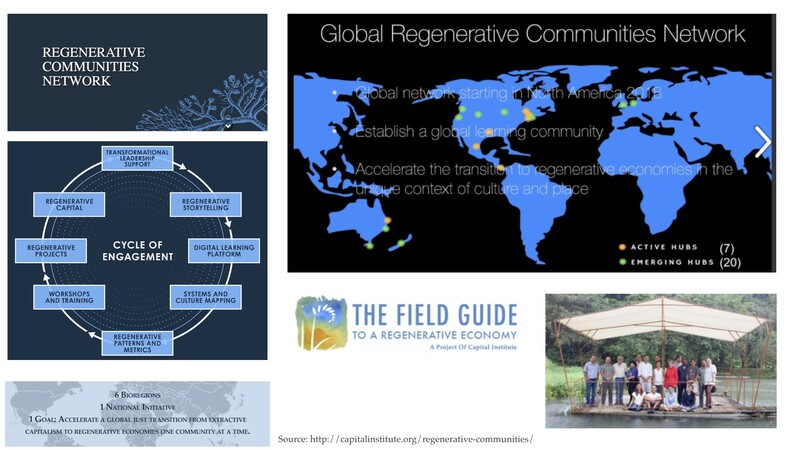 We brought key practitioners of regenerative development from all over the world together. It has been a slow process to defined what exactly has come out of that meeting in terms of moving forward, but a lot of people met there and started to collaborate afterwards. 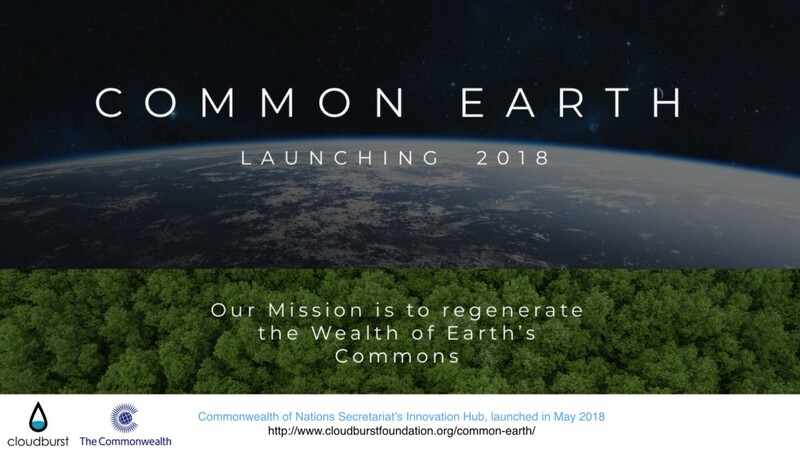 What has directly come from this process is this platform called ‘Common Earth’. It’s aim is to offer advice to Commonwealth countries on how to do regenerative development, as well as, showcasing best practice examples. 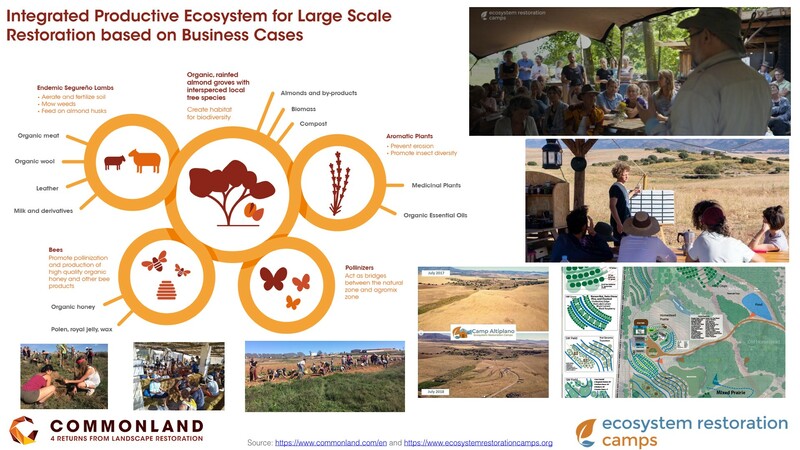 There is an organization in the Netherlands — called Commonland — that developed a strategy to finance large scale and long term ecosystems restoration and how to make it viable. 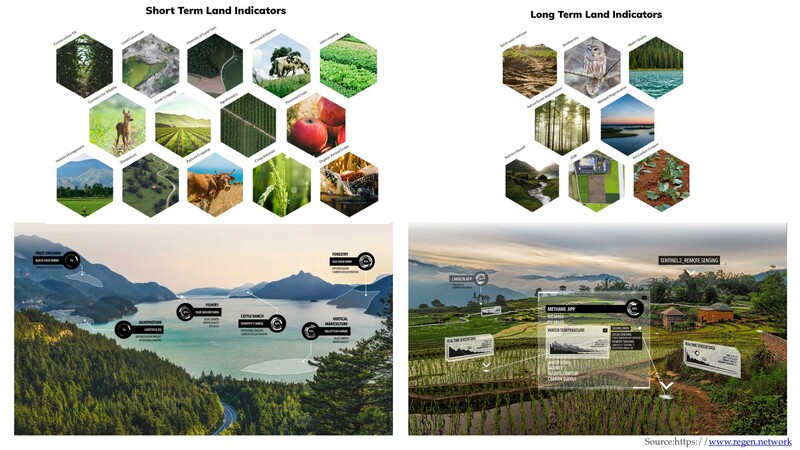 Commonland has set up four pilot sites around the world where they are working with regional landowners to transform entire regions. One of them is the altiplano near Murcia in Spain. 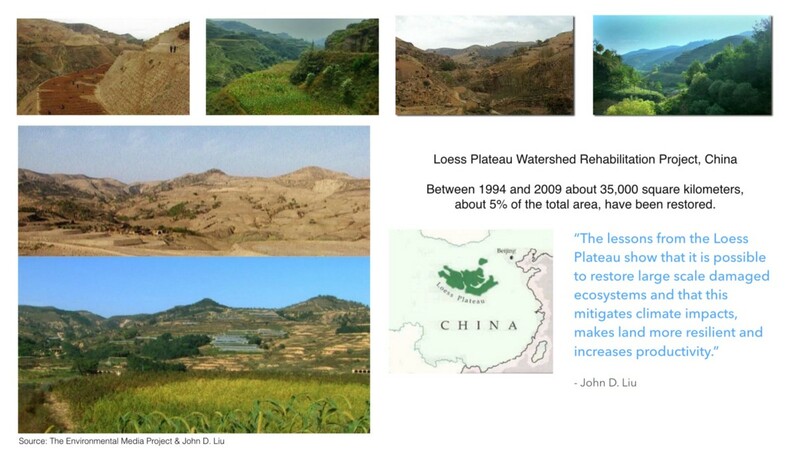 The guy I mentioned earlier, John Liu, who documented the change at the Loess Plateau, has started an organization called the ‘Ecosystems Restoration Camp Foundation’ and the ‘Ecosystem Restoration Camp Cooperative’. 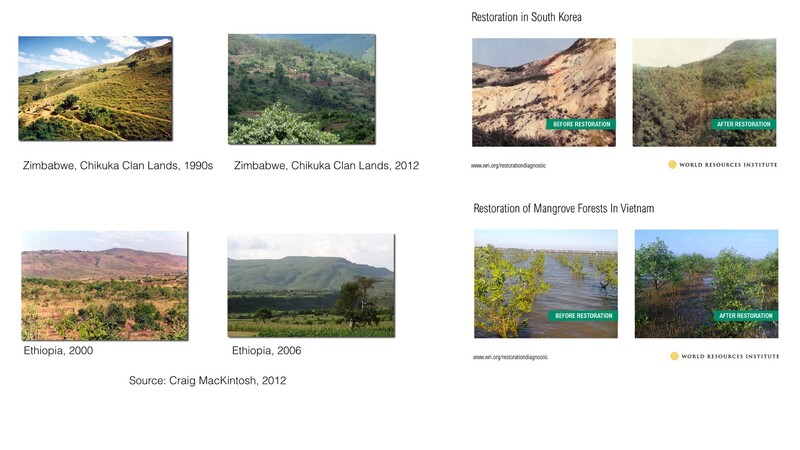 Their work is basically to invite young people — or anyone — from around the world to come and learn how to become restorers of ecosystems in that place. 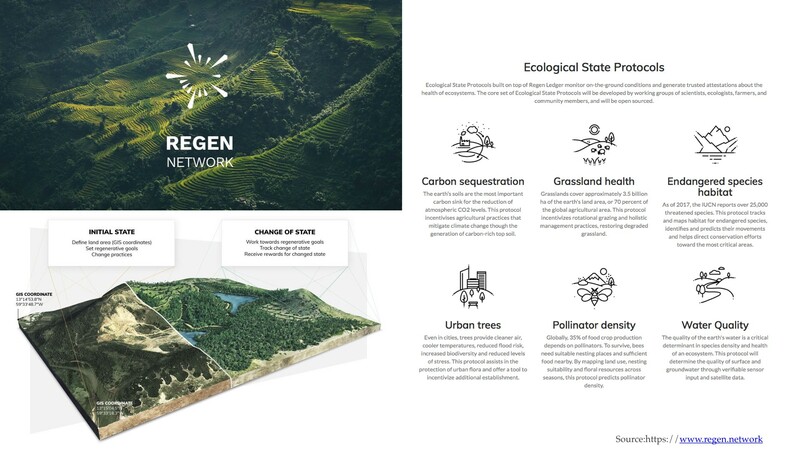 There is an organization call the Regen Network, who are working on using remote satellite images as well as sensors on the ground to really look at the before and after of regenerative work. Once you can quantify and prove that you have had a regenerative effect there are ways of finding funding linked to that. The Regen Network is also working with block-chain technology and crypto-currencies (liquid tokens) to create large funding streams to support regenerative practice. Peter Head used to run Arup Engineering, working on a lot of the early eco-city projects in China. He now set up an organization called Resilience Brokers. 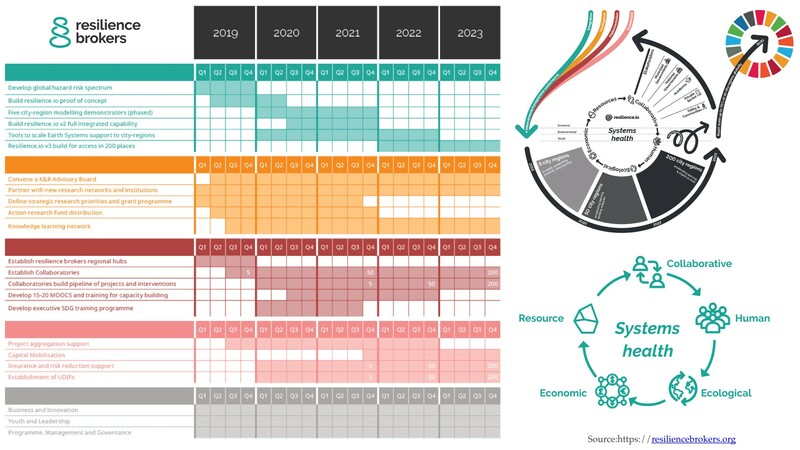 They are starting an ambitious programme next year to by 2023 have worked with 200 city-regions around the planet to build resilience based on this shift towards a more bioregional biomaterials economy that supports the regeneration of ecosystems. You have probably heard of Project Drawdown. The book and project set up by Paul Hawken, who also lived for some time in the Findhorn community . 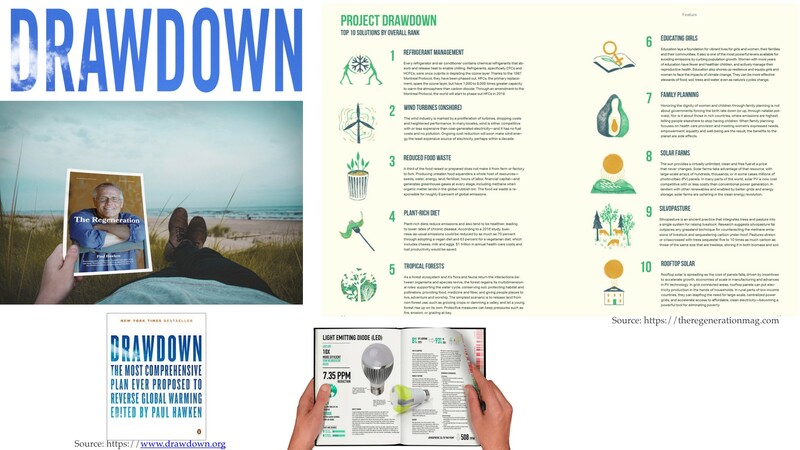 Project Drawdown has identified 100 proven strategies of how to draw down carbon out of the atmosphere. This is beyond just carbon. We should not have carbon myopia, but right now we are faced with the challenge to stop cataclysmic run-away climate change. The techniques advocated by Project Drawdown are proven and some governments are now beginning to roll out programmes to work on this. 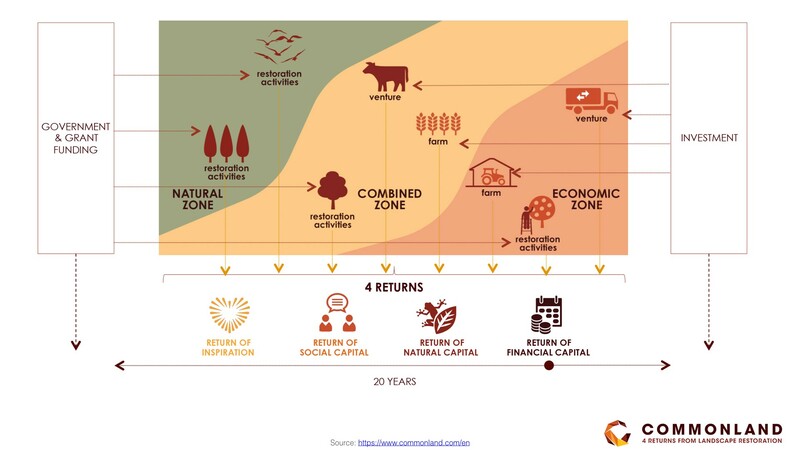 The ‘Regenerative Communities Network’ launched recently by the Capital Institute sets its self the challenge to region-by-region create regenerative bioregional economies. There are now seven regional Regeneration Hubs of people working at the regional scale to build bioregional biomaterials economies. Basically we need to shift out of fossil carbon. Our entire material economy is fossil fuel dependent. We need to create a new type of material culture that is biomaterials based and sequesters carbon into everything we use. 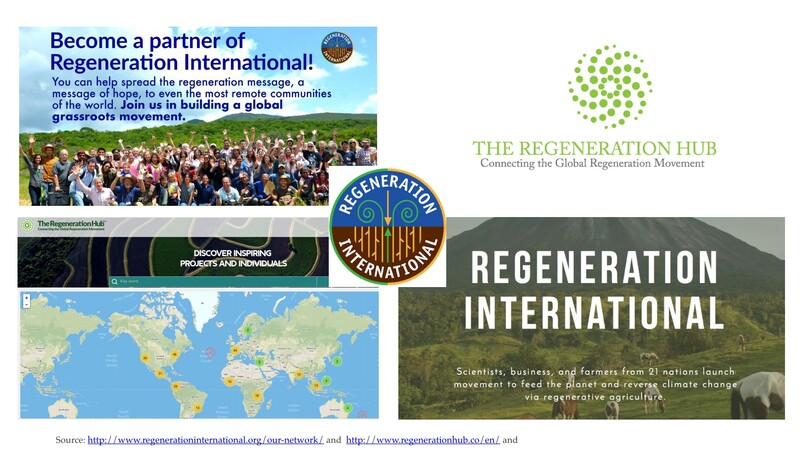 There is also an organization called Regeneration Interational that links farmers from around the world who practice regenerative agriculture. 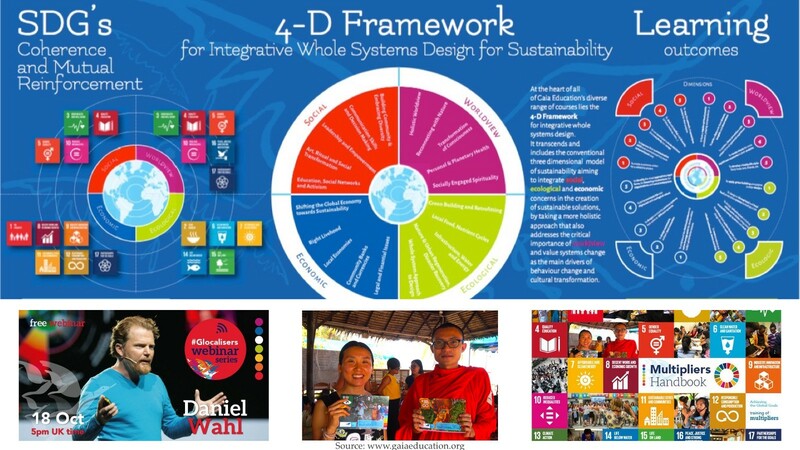 The map in the image [below] shows some examples of where these activities are taking place. 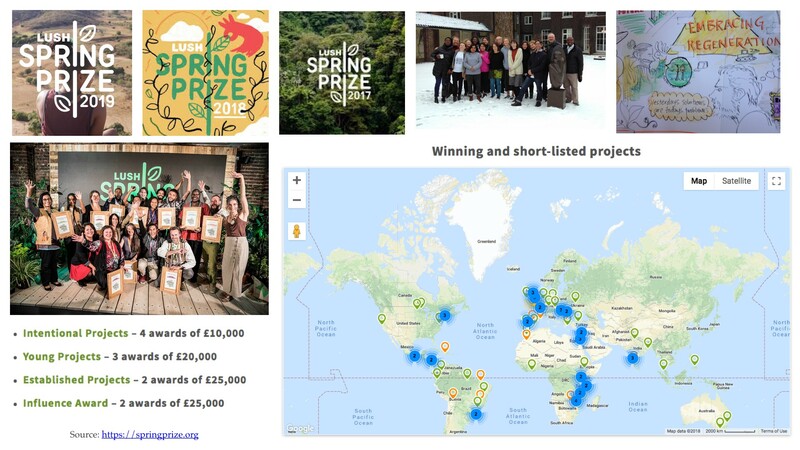 Lush — the ethical cosmetics company — runs the Spring Prize that I have the honour to be on the jury of. Every February we meet to deliberate on how to give away 200,000GBP to organizations that working on social and ecological regeneration. There is some hope. There is a silver-lining to the dark storm clouds we are facing. 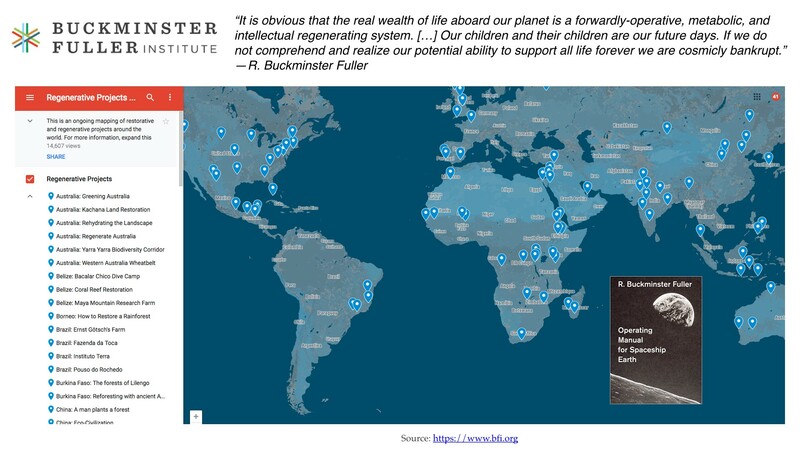 If you really want to stop watching the bad news have a look at the website of the Buckminster Fuller Institute. My friend David McConville created a google map on which each point you can click on pops up a little video of a story happening in that place of people already doing regeneration work on the ground. Next year [technically late this year in late December] is the 50th anniversary of ‘Earth Rise’ — the first image from outer space of Earth rising above the moon — and it is also the 50th anniversary of Buckminster Fullers book ‘Operating Manual for Spaceship Earth’. I think we are getting closer to knowing what we need to do and we are beginning to do it. So just to close. 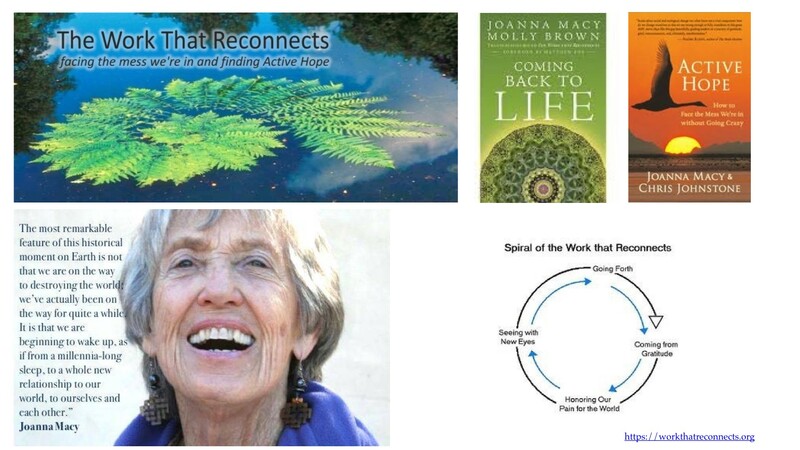 This is a great teacher [of mine] — Joanna Macy — who for years has emphasized that the key things we need to change are upstream. 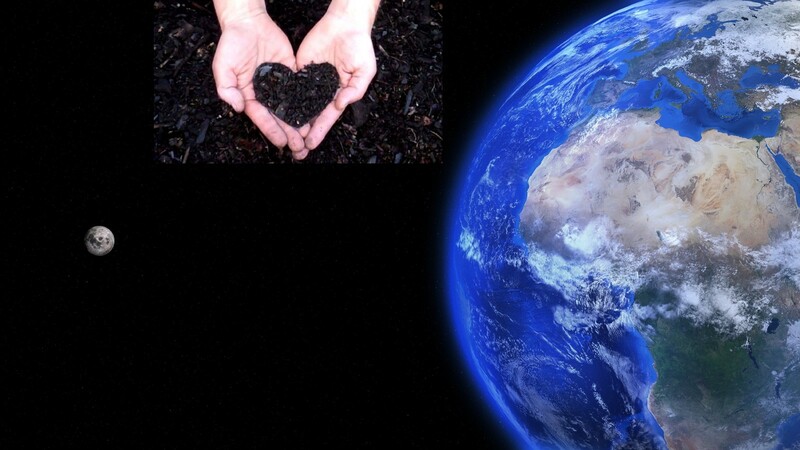 The key things that we need to change start in the human heart and in the human relationship with the Earth. I love what she says here [below]. We have been on the path of destroying this planet for many, many years, probably about 5000 years, since the beginnings of agriculture [which started 8 to 10k years ago but began spreading widely around 5k years ago]. But, there is something special happening right now, we are beginning to redefine our relationships to each other, to this planet, and our potential role of healing this planet. Dear Darkening Ground, you have endured so patiently the walls we have built. Until you become forest again, and water and widening wilderness, in that hour of inexplicable terror when you take back your name from all things. So I may love the things until they are real, and ripe, and worthy of you. So I invite you all to love life. Love the opportunity of being alive. We don’t know whether we are going to make this. We are undergoing a species-level rite of passage right now. Rights of passage require that you are not allowed to know for sure whether you are going to make it, otherwise they don’t work.